All Area Portable Shower and Toilet Hire provide clean and hygienic portable showers and toilets for all your renovation needs at a cost of $20 a unit per day. 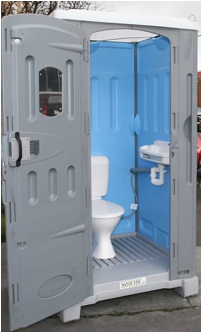 Both Showers and Toilets are installed by fully qualified personnel, who will attend to all your needs including; delivery, set-up and temporary connection to the required services usually within 30min. At the end of your hire we will once more attend to the disconnection of amenities, cleaning and pick up of your unit.